Exfoliators, face wash, face scrubs, and toners are all recommended for a healthy skin care routine, but using them every night can be time-consuming. Instead, try using a powerful face wash product with 4-in-1 cleansing power for beautiful skin. You’ll thank me! I haven’t talked about it a lot here on Mom Fabulous, but I’m currently on a year-long trip around the U.S. and Canada with my family. Seeing as much of the U.S. and Canada as possible has been a dream of ours for quite some time, so we finally went for it. Constantly traveling meant pairing down my skin care routine a lot. 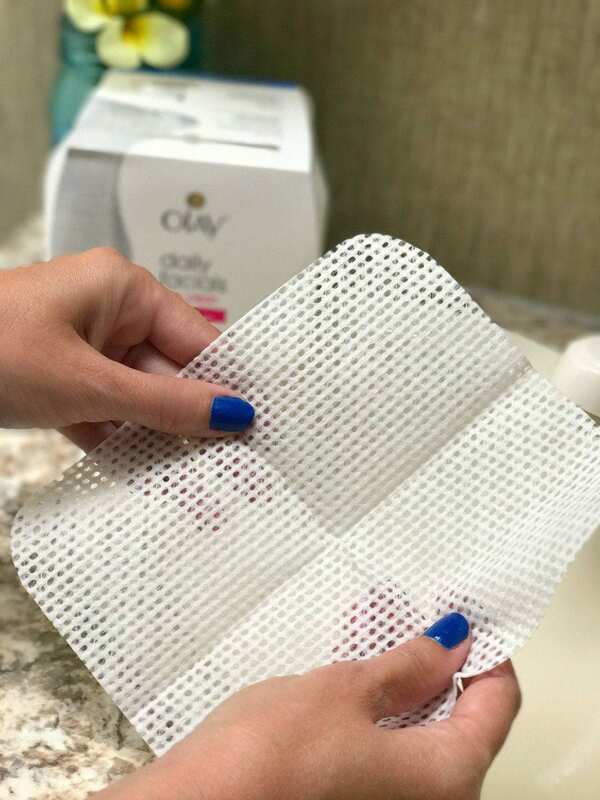 I couldn’t and didn’t want to bring bottles and bottles of products with me, so when Olay reached out asking if I’d like to partner with them and try Olay Daily Facials Daily Clean 4-In-1 Water Activated Cleansing Cloths, I was all in. I’ve been using their moisturizer with SPF for longer than I can remember! That’s a lot of steps and products! I’ve used makeup wipes for years to remove that pesky mascara and foundation that tends to linger even after cleansing with a wash. But I’m not always happy with the way my skin feels afterward. I have dry skin, so a tight feeling to me means stripping my face of oils my skin desperately needs. I also know that tugging on my skin to get the wipes to really break up the makeup isn’t good. 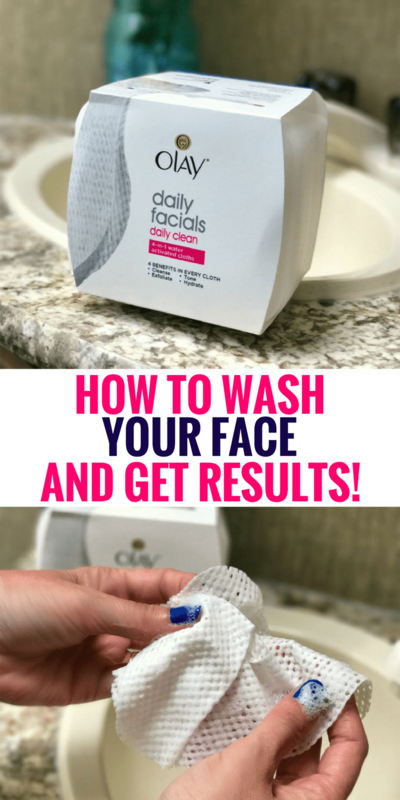 So, I put the Olay Daily Facials to the test to see if the 4-in-1 cleansing power is truly effective. What do I think? Well, not to get dramatic or anything but if I had access to a mountaintop to scream about my love for this product I would. I stocked up and bought 4 boxes and my 19-year-old daughter has started using them as well. She loves them as much as I do! 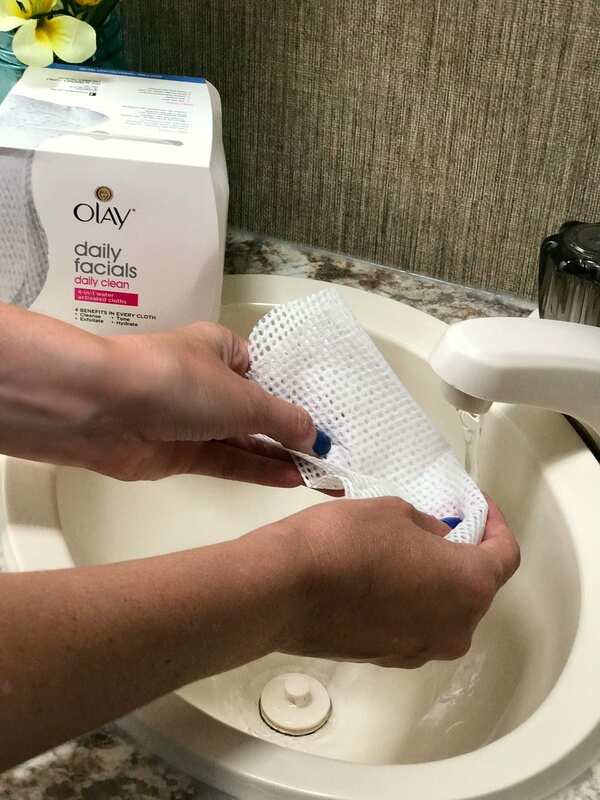 Olay Daily Facials Daily Clean 4-in-1 Water Activated Cleansing Cloths are specially textured with soft cleansing pockets that will gently break up and lift away dirt, oil, and makeup. Yes, even mascara! 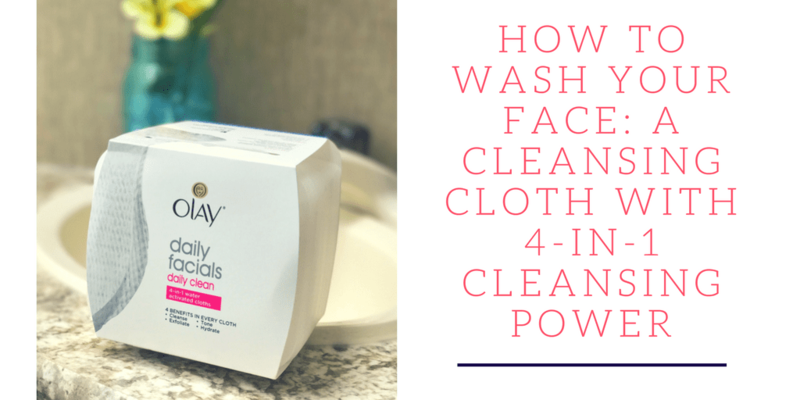 By using these, you get a clean that is two times better than basic cleansing. The result? Skin that’s gently exfoliated and smoother in texture in less than one week. Another amazing benefit I’ve noticed is an improvement in the tone and texture of my skin. For years I’ve suffered from quite a bit of redness on my cheeks and dry spots, which caused me to always want to wear makeup. Which I did. When a member of my family got away with snapping a picture of me without makeup, I quickly asked them to delete it and to please not post it. You may have heard about the no makeup trend celebrities, bloggers and other well-known women have embraced. I watched Alicia Keys on ‘The Voice’ sport gorgeous outfits and hairstyles, all while not wearing a stitch of makeup. At the time, two things came to mind: she’s beautiful and that must work for her because of her access to any skin care product she wants. I finally saw the beauty in this trend and have been embracing it quite a bit lately. What changed? This picture my son took of me the other day while on a hike. 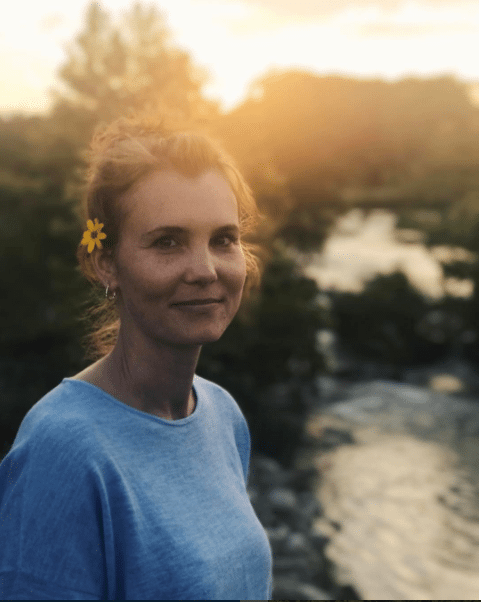 I put a flower in my hair that my youngest son picked for me and I was standing there, my other son asked me to be still while he took my picture. This is me with no makeup on whatsoever. And my family thought I looked beautiful. He asked if he could post it and I actually said yes. Sure, I personally saw a few flaws I didn’t particularly like, but I also saw two other things: that I was completely relaxed in my skin and that my skin is changing. It feels good to see the redness and dryness disappear. It also feels amazing to let go of the need to always have makeup on. 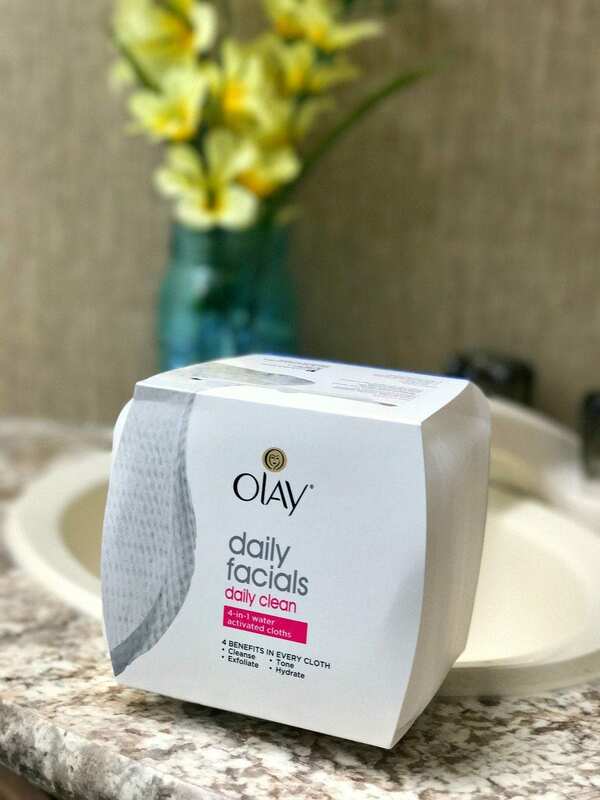 Using the Olay Daily Facials for a couple of weeks was my step 1 to embracing the no makeup trend. My skin is the healthiest it’s ever been. Step 2 was seeing the beauty in it through the eyes of my family. 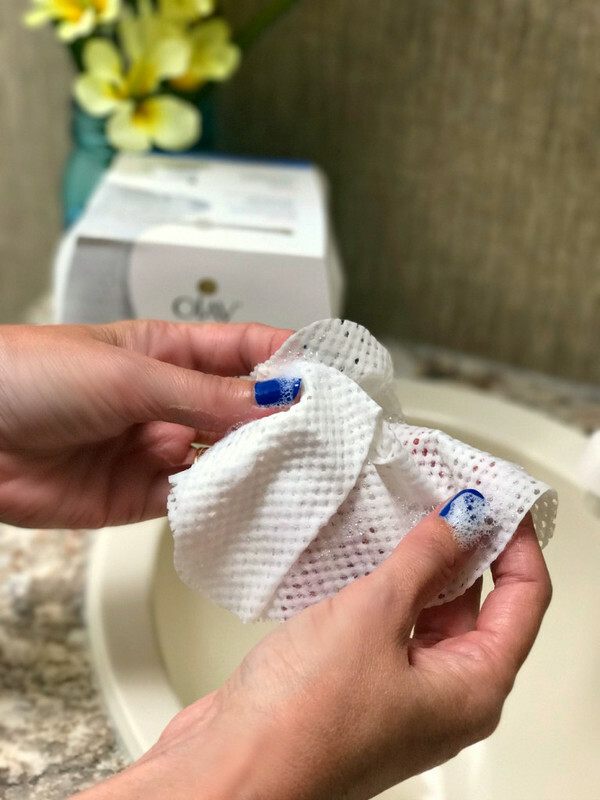 Would you like to try Olay Daily Facials for yourself? You can get them here and start your journey to beautiful skin. 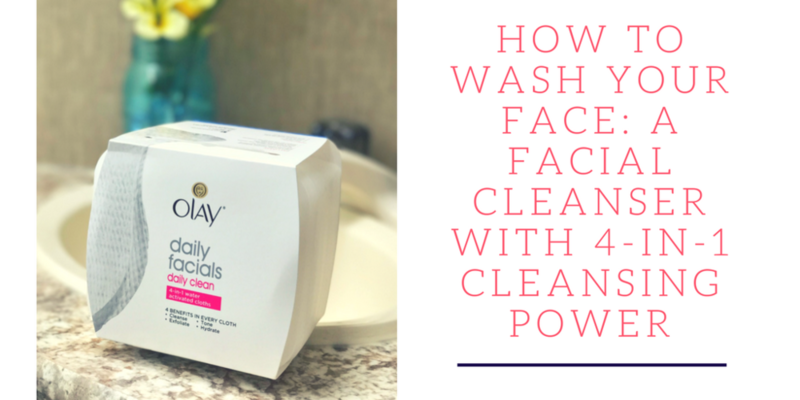 This is how to wash your face and see benefits your skin will love!